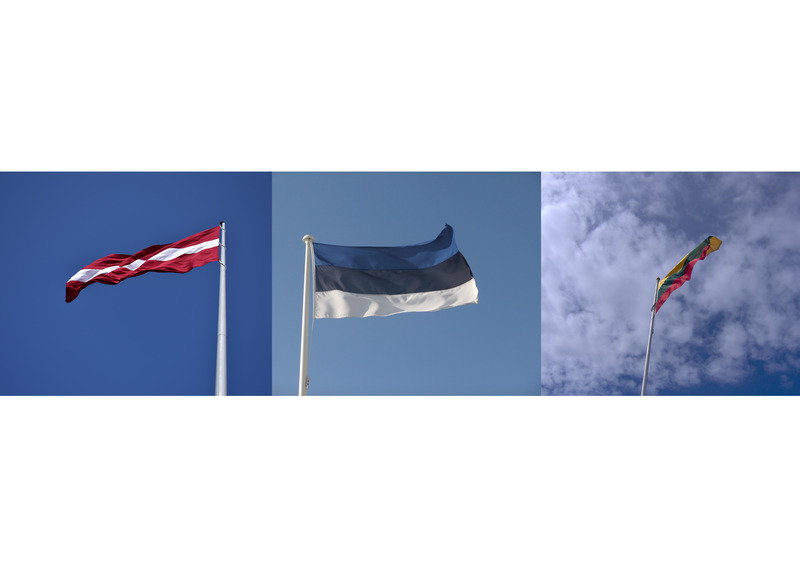 Brussels, 5 April 2018 - Press conference "Public opinions in Visegrad countries"
Relations between the European Union and Visegrad countries became more tense in the past few years. 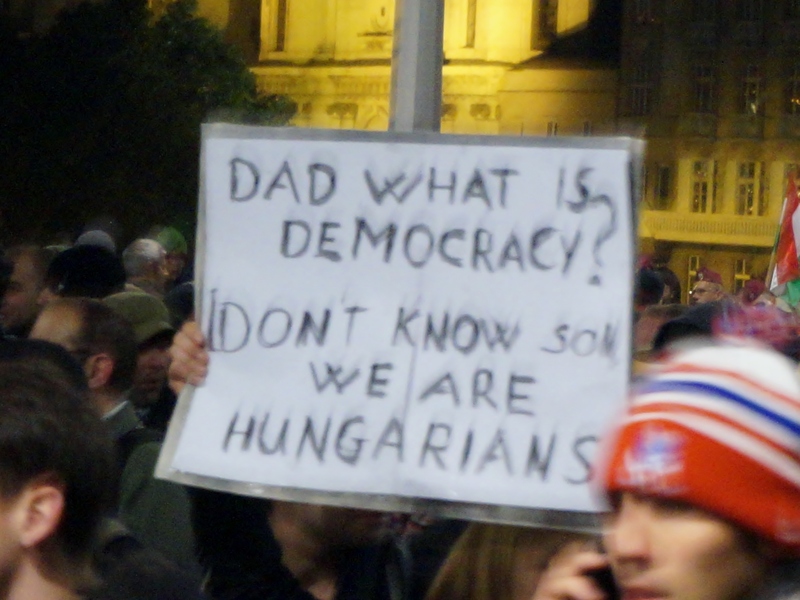 Few months after the parliamentary elections that have taken place in October in the Czech Republic and on the eve of those in Hungary, and while the Slovakian Prime minister, Robert Fico, just resigned, the Jacques Delors Institue has decided to analyse the state public opinions in those coutnries and Poland toward the European Union. 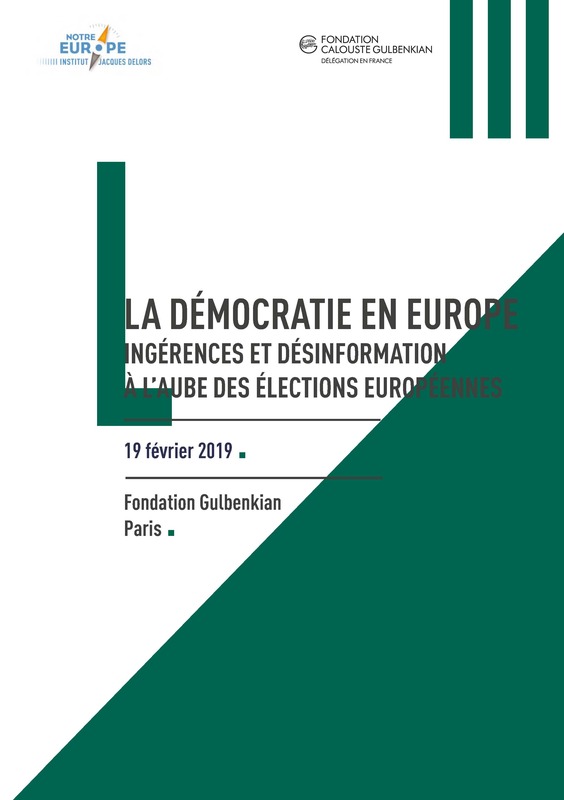 In doing so, Daniel Debomy, research associate fellow at the Jacques Delors Institute, will outline the main findings of its paper “Public opinions in Visegrad countries”. 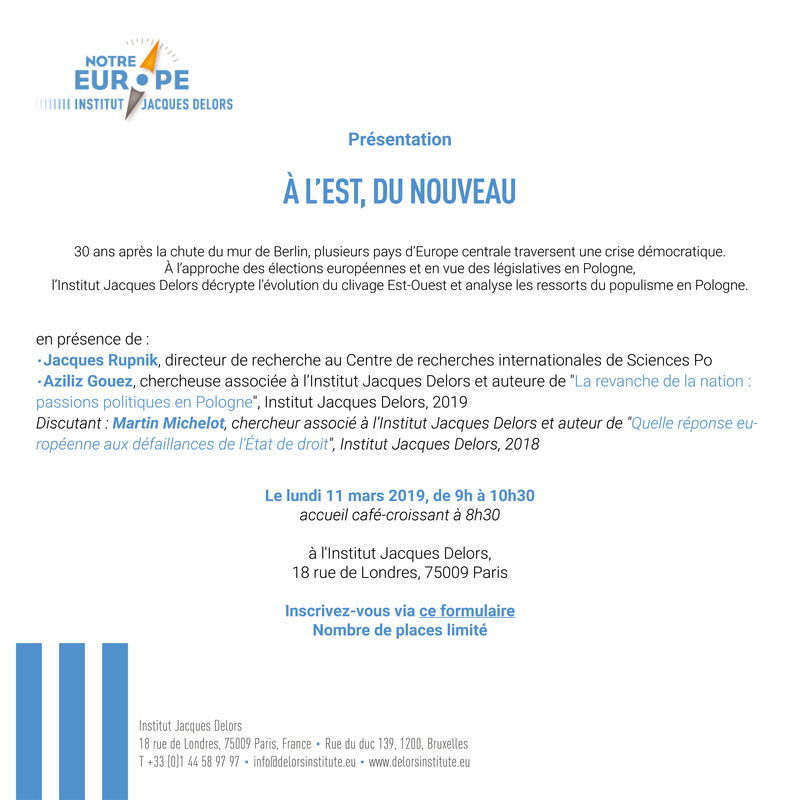 Geneviève Pons, director of Jacques Delors Institute Representation in Brussels, will pronounce welcoming words. Accreditation is compulsory, please contact Nicolo conti (conti@delorsinstitute.eu) in this purpose.